The Fund was established by the American Laryngological Association in 1940 by transfer of $16,000 from the General Fund. Originally the fund was established to sponsor and encourage research in Laryngology and Rhinology. In 2007, at the Annual meeting, the council proposed eliminating research in Rhinology from the bylaws of the Association. This was voted on and approved by the general membership. The current purpose of the fund is to sponsor and encourage research in Laryngology.  In 2015, the Laryngeal Research Committee was consolidated with the ALA/ALVRE Research Committee. There shall be the Laryngological Research Fund Committee consisting of six (6) Fellows appointed by the President, and three (3) of which shall be appointed every third year to serve for a 6-year period. The chairman of this Committee shall be appointed by the President. The President shall be an ex-officio member. The Committee shall: (1) report to the Council on progress of research in Laryngology and in allied scientific fields; (2) make suggestions and recommendations on how the Association may encourage research in Laryngology; (3) the Committee shall recommend to the Council the allocation of funds from the Research Fund for the support of such research funds as the Committee approves. The Committee shall meet during the Annual Meeting and at other times as the Chairman may direct. The Chairman of the Committee shall submit a report to the Council at its Annual Winter Meeting.